Complete with additional cushioning on the foot and ankle the Solid Over The Calf Merino Wool Peddies in Black maximise comfort. 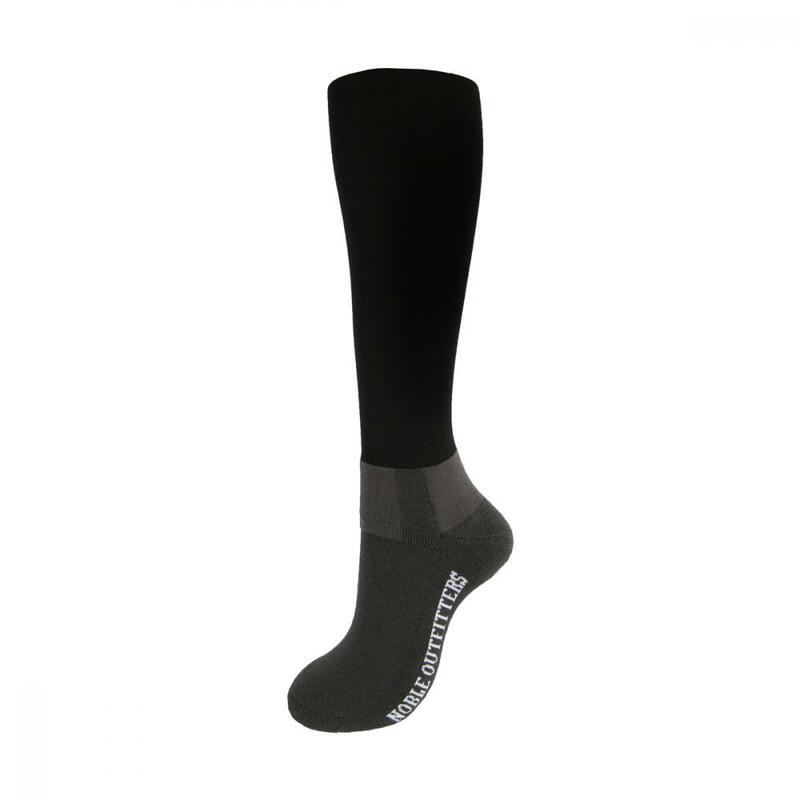 Ideal for the unpredictable weather Merino wool’s natural moisture wicking will keep your feet warm and dry. 31% Merino wool/ 30% acrylic/ 24% nylon/ 11% spandex/ 4% rubber. Merino wool padded foot with Opti-Dry moisture-wicking yarns. Ankle shield padded protection for boot pinch points. Lightweight/breathable panel at top of foot. There are currently no questions for Noble Outfitters Merino Wool Solid Peddies - be the first to ask one!